The corrupt and useless Rep. Maxine Waters went on MSNBC this weekend and declared war on Republicans. “Auntie Maxine” later told supporters at a rally to verbally assault and harass Republicans wherever you find them. Waters incited a violent mob against people in Trump’s cabinet. 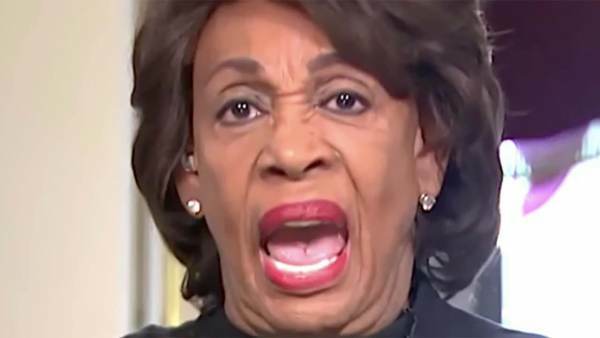 On Monday, conservative watchdog group, Judicial Watch filed a House ethics complaint against Rep. Maxine Waters for inciting violence against members of Trump’s cabinet. (Washington, DC) – Judicial Watch today sent a hand-delivered letter to the chairman and co-chairman of the House Office of Congressional Ethics calling for an investigation into whether Rep. Maxine Walters (D-CA) violated House ethics rules by encouraging violence against Trump administration Cabinet members. We hereby request that the Office of Congressional Ethics conduct a preliminary investigation into whether Rep. Maxine Waters violated House Rules in encouraging attacks on Cabinet officials.